F: Face. Ask the person to smile and if one side of the face droops it is an indicator of stroke. A: Arms. Ask the person to raise both arms and if one arm doesn”t seem to want to stay up this is an indicator of stoke. S: Speech. Ask the person to speak and if their speech is slurred or confused this is an indicator of stroke. T: Time. Times is of the essence, if the person displays any of the above signs they should be taken to the hospital immediately or dial 911 for an ambulance. Sudden severe headache of inexplicable origin. Sudden dizziness, difficulty walking, a loss of balance or coordination. Sudden blurred or loss of vision in one or both eyes. Sudden confusion with difficulty speaking, slurred speech, incoherency. 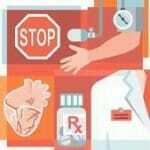 Sudden numbness or weakness of an arm or leg, or both, especially on one side of the body. Sudden weakness or numbness of the face. If any of these symptoms are displayed note the time that you first noticed them occurring. 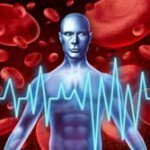 There is an FDA approved clot-busting drug that if given within three hours of the first sign of stroke may help reduce the long term effects of the most common type of stroke. There are two more drugs that may be given as well that can help to reduce long term effects. Ischemic stroke, this type of stroke occurs when a blood clot forms, blocking blood flow to a part of the brain. There are two different types of Ischemic stroke. Embolic stroke, in this type of stroke a blood clot forms somewhere else in the body and then moves through the circulatory system until it reaches a vessel too small to pass through and so blocks blood flow to part of the brain. Thrombotic stroke, a clot forms in one of the main arteries supplying blood to the brain. Large vessel thrombosis, the most common type of thrombotic stroke, caused by long term atherosclerosis and a rapid clot formation. Patients suffering this type of stroke often suffer from coronary artery disease and so heart attack is often the cause of death for this type of stroke sufferer. 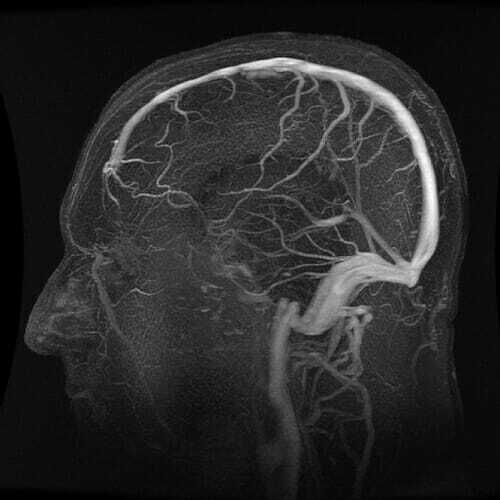 Small Vessel Disease/Lacunar Infarction, believed linked to high blood pressure, this type of stroke effects very small arterial vessels. Hemorrhagic Stroke, this type of stroke occurs by the rupture of a blood vessel in the brain. There are two types of hemorrhagic stroke, subarachnoid and intracerebral. In an intracerebral hemorrhage, bleeding occurs from vessels in the brain. High blood pressure is the primary cause of this type of hemorrhage. In a subarachnoid hemorrhage, an aneurysm bursts in a large artery on or near the thin, delicate membrane surrounding the brain. Are You Having A Mini-Stroke?